On Thursday, November 18th, 2010 at 18:00 (GMT+2) at La Scala Shop, Largo Ghiringhelli (Piazza della Scala), will be a presentation of the latest discographical production of Danilo Rossi, First Viola Soloist of the La Scala Theatre in Milan. Speakers Danilo Rossi and Stefano Bezziccheri. 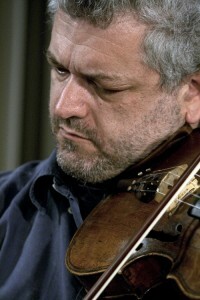 During the presentation the audience will be accompanied by Oreste Bossini, journalist and radio host, to discover the charm of the two Sonatas for viola and piano Op. 120, composed by the great German composer Johannes Brahms. The Sonatas n°1 and 2 represent the fist of six box sets, which will be a collection of great music for viola and piano, which pays tribute to the main composers who have written for this ensamble. The same day at the Ridotto dei Palchi “A. Toscanini” of La Scala Theatre in Milan at 17:00 (GMT+2), you will be able to enjoy a concert by Danilo Rossi, accompanied by Stefano Bezziccheri at the piano. 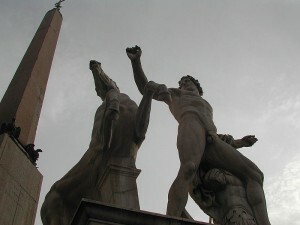 Thursday, November 18th, 2010 at 17:00 (GMT+2) at the Ridotto dei Palchi “A. Toscanini” of La Scala Theatre in Milan: Danilo Rossi in concert. The same day Danilo Rossi will present his latest discographical work, arisen from the collaboration with Limen music & arts: “SONATE – Johannes Brahms”, at the La Scala Shop at 18:00 (GMT+2). 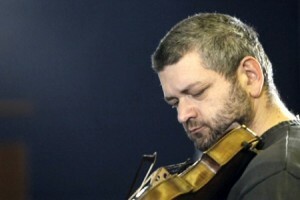 From October 27th, 2010 you can see a new concert on Limenmusic Web Tv: Corrado Rojac plays Gubajdulina. Duo F. Dillon – E. Torquati in concert. Trio Magritte with Paolo Beltramini play Olivier Messiaen. 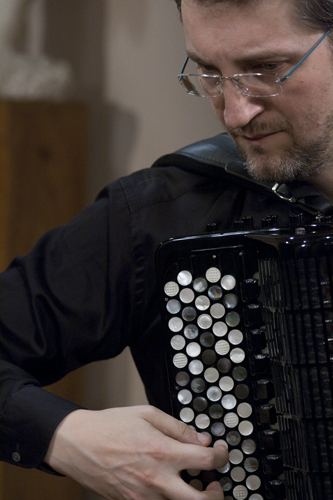 From October 27th, 2010 on Limenmusic Web Tv (Channel 1) you’ll be able to enjoy a concert by one of the most popular Italian accordionist, Corrado Rojac. 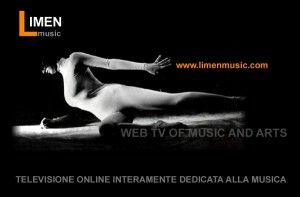 From today (October 20th, 2010) you can see a new concert on Limenmusic Web Tv: Trio Caravaggio plays Beethoven. October 24th, 2010: Duo Francesco Dillon (cellist) and Emanuele Torquati (pianist) in concert at Cappella Paolina del Quirinale, for “Concerti del Quirinale” by Radio3. The concert will be broadcast live at 12:00 (GMT + 2) on Radio 3 and via Euroradio in many Europe’s countries. From October 20th, 2010 on Limenmusic Web Tv (Channel 1) you’ll be able to enjoy a concert by Trio Caravaggio, whose members are Paolo Gilardi (pianist), Francesco Cerrato (violinist) and Stefano Cerrato (cellist). For a trailer of the concert, please click here. 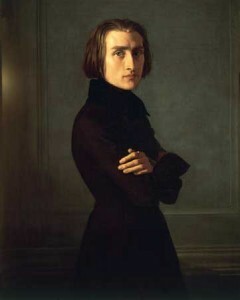 When, after the year 1848, Liszt accepted a “stable employment” in Weimar, he devoted most of his time to conducting the orchestra and managing a musical theatre; and at the same time changed his general attitude, paying more attention to the expressive values of music. In those years he revised many of his earlier piano compositions, making many, often deep, changes – not necessarily simplifying them (although in many cases he did so), but mostly refining the poetic feeling. The twelve Transcendental Etudes are a noteworthy example of this path: their origin is in the Etudes Op. 1, that Liszt created in 1826 (he was only fifteen), and dedicated to his master Carl Czerny. He revised them in 1837, transforming them in Great Etudes (published in 1839), that Schumann deemed of an unapproachable difficulty, in certain points at the limits of what a human could play (but Liszt did really play them). During the Weimar years Liszt further modified them, clearing difficulties that then perhaps he perceived as pointless exhibitions of bravura, and giving more room to the expressive and poetic component. What is usually performed today is in fact the 1851 version. A short Prelude opens the set, as in a recital; then the path goes through a series of descriptive pictures (only two Etudes do not have a title), from the quiet landscape to the snowstorm of the 12th Etude. Between those extremes all the possible nuances that a piano can express are touched: from the tender to the thoughtful, from the heroic to the horrifying. The fourth Etude (that you can hear and see on limenumusic, performed by Takahiro Yoshikawa) is titled Mazeppa: Liszt published it also as a separate work in 1840, and then revised it, making out of it an orchestral piece (a symphonic poem) in 1851, then revised in 1854, then transformed into a tone poem for two pianos (1855) and, last but not least, into a tone poem for four-hands piano (1875). The legend of Mazeppa, poetically celebrated by Lord Byron and, more specifically, by Victor Hugo (from one of his ballads Liszt took his inspiration) is based on the character of Ivan Stepanovic Mazepa-Kolendinskji, born in Kiev in 1644, pageboy at the court of John Casimir, King of Poland, condemned for a love affair with a countess: he was tied naked on the back of an Ucrainian horse, set at gallop in the barren steppe. The horse comes back to its homeland, and Mazeppa is saved by the Cossacks — whose leader he will become. Allayed with the Turks and then with the Russians, made prince by Peter the Great, he conspires with the King of Sweden, Charles XII, and in the war against the Russians he is definitively defeated in the battle of Poltava and is forced to flee to Turkey, where he will die in 1709 (supposedly committing suicide). As when a mortal – Genius’ prize, alack! After the fall, he rises – KING! On the Net, you can find the original ballad by Victor Hugo (in French), for example, here. In 1988, John Douglas Fry wrote a dissertation for the Degree Doctor of Musical Arts at the Ohio State University about “Liszt’s Mazeppa: The History and Development of a Symphonic Poem”, that may interest you, if you would like to learn something more about this work. You can find a pdf of his dissertation here. For further information, there are a few books available: for example, Jim Samson’s Virtuosity and the Musical Work: the Transcendental Studies of Liszt (Cambridge University Press, 2007); Christofer H. Gibbs and Dana Gooley (eds), Franz Liszt and his World (Princeton University Press, 2006). Yesterday (October 13th, 2010) the great italian accordionist Corrado Rojac has recorded in Limenmusic’s studio the tracks of his new DVD, which will become part of the Black Line series by Limenmusic. For the photos of the backstage, please click here. From today you can see a new concert on Limenmusic Web Tv: Trio Magritte with Paolo Beltramini play Olivier Messiaen, Quatour pour la fin du Temps. Duo Stelia Doz – Guido Salvetti perform Schumann’s Liederkreis Op.39.